The talk itself looks slightly retro if you watch it again now – looking like it was filmed on a smartphone, his only prop was an Office Depot flipchart and his mike failed half way through so a techie had to come to his rescue with another – it even had a lead! A tad old school, then, but the message was engaging and enduring. Start with your ‘Why?’ – understand your primary purpose and let that be your guiding light. His famous marketing example was Apple – they don’t just tell people that they flog computers, they get people emotionally involved by telling them they want to CHANGE THE WORLD! Computer flogging comes later. There’s a place in GTD® for thinking about your ‘Why?’, but first I wanted to share the unusual story of someone who didn’t need GTD, yet whose life illustrates the value of having a life purpose. Sewdass Sadhu was born in 1901 in Benares, India. When he was still young his family migrated to the Caribbean island of Trinidad as indentured labourers, invited by the British to cut the sugar cane that sweetened cups of tea all across the Empire. 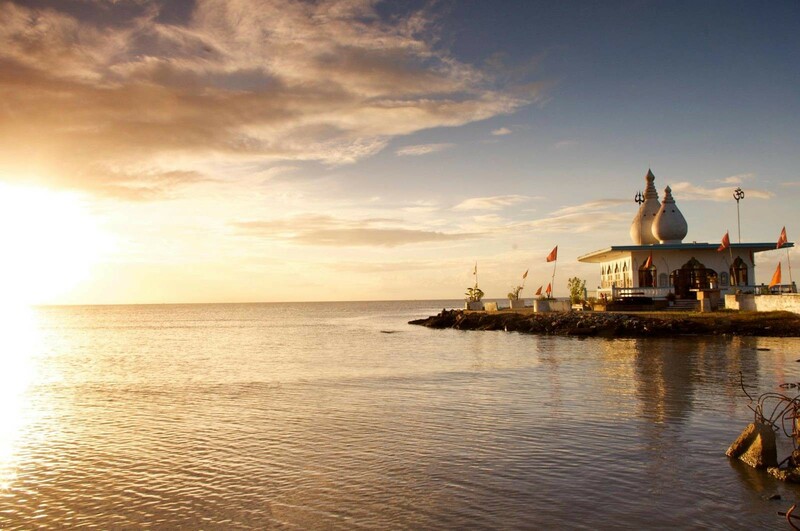 Later in his life, Sewdass, a devout Hindu, became inspired by his pilgrimages back to India and decided to create a place of worship in Trinidad like those he’d seen on the banks of the Ganges, so he started building a temple near his home, overlooking the sea. After several years his temple was complete but then it came to the attention of the dastardly Tate & Lyle sugar company who owned the land. They demanded he remove it, and when Sewdass refused he was thrown in jail for two weeks by the colonial authorities, who also demolished his temple for good measure, before he could get out. Sewdass decided to build his temple in a place where they couldn’t touch him. Realising that Britannia didn’t literally rule the waves, he set to building it in the sea by collecting discarded bricks from a quarry a few miles away, carrying them in buckets on his bike handlebars, and piling them up on the shore. This crazy labour of love went on every day for the next 17 years until – despite regular setbacks involving large waves – he’d build a causeway 500 feet out into the sea with his temple on the end. He enjoyed his very well-earned twilight years there in peace until he died in 1971. Sewdass led a simple life. He didn’t need GTD. His life purpose was praising his Gods – the Hindus have a few, after all – and he had a simple daily task. There was little complexity in between. He had a tough commute on his bike, to be fair, but he didn’t have to juggle projects, meetings, emails and competing demands all day once he got to work. He didn’t have to constantly figure out which activities mattered most to his strategic direction and prioritise them over others. He just picked up some bricks and started pedalling. For the rest of us, the GTD ‘Horizons of Focus’ model helps to capture and track that 21st century complexity. It has a place to define your life purpose, for sure, at its highest horizon, but also more horizons to capture and track the multiple dimensions of modern life – the diverse personal and professional areas of focus, the medium term goals and the longer term vision. At a simple level you can use this model to focus and expand your thinking about where you’re trying to get to and remind yourself regularly for course correction and perspective. You can also take a deeper dive into it by coming to our Level 2 Projects & Priorities seminar – we’d love to have you. Either way, it’s important to be aware of higher levels of perspective than just the daily slog, and especially that driving purpose. Getting out of bed every day to face the commute, the emails, the stress and the sacrifice demands it. It’s not brick-carrying but it’s bloody hard work. Sewdass Sadhu had his life purpose. What’s yours? What gets you onto your bike every day and keeps you pedalling?